When testing the http://iso.qa.ubuntu.com/qatracker/milestones/310/builds/61655/ ISO for Xubuntu 14.04 if you go to the desktop preferences and try to change the desktop background you are presented with an empty list and the choice to locate your own personal images. No preset of images is offered to you, not even the default desktop background that is currently in use. The ubiquity-slideshow-ubuntu package is responsible of show-casting images while installing Ubuntu. I don't see how this package may be related to this issue. I'll remove it and set the importance as medium, since it looks like an important issue which could affect a lot of users. Feel free to further comment if you have additional data or if you disagree with the importance and assigned package. 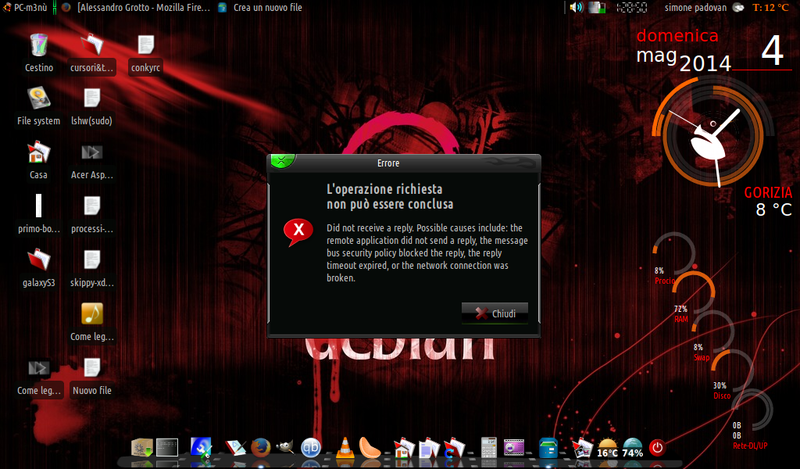 sudo make uninstall to get back to the version installed by Xubuntu. to test all the latest xfdesktop changes upstream, if you like. Thanks for the detailed instructions Eric, i've tried the patch and the result is the same as just installing the guest additions, the list now shows full, but the thumbs for the wallpapers are empty, however resizing the window, or clicking on one of the empty thumbails loads them all. Just moving the windows does not update the thumbs. 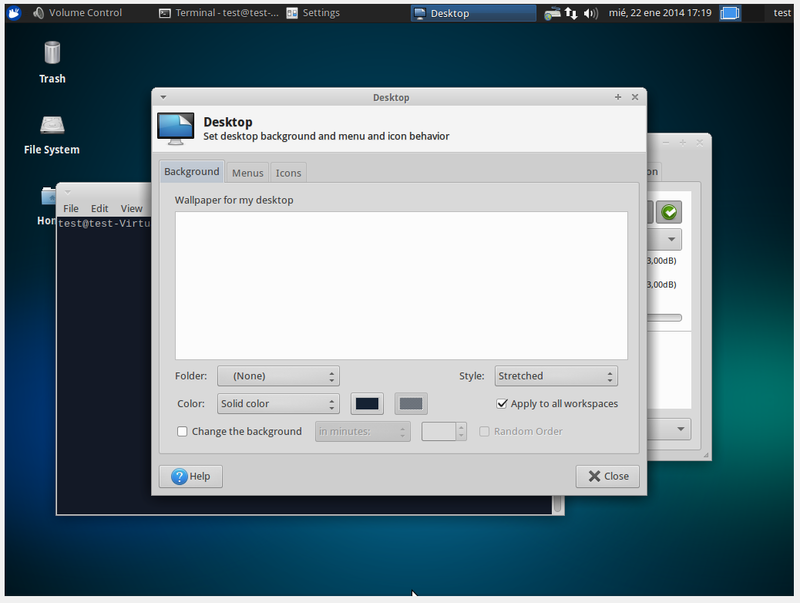 This bug was fixed in the package xfdesktop4 - 4.11.4-1ubuntu1. from 4.10 and before to the new xfconf properties. 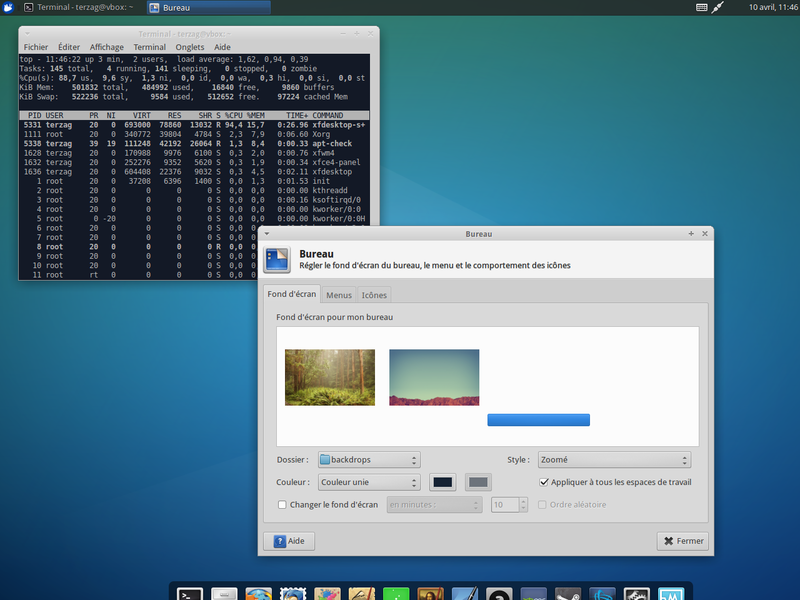 Not sure it's a new bug, the same, or a consequence of the fix but I've installed Xubuntu 14.04 beta in a virtual machine a few days ago and when I go to the desktop settings, it displays two wallpapers, a blue "bar" where the third one should be and is completely stuck taking ~100% CPU, I have to kill the process. Thus, the desktop settings tool is completely unusable.